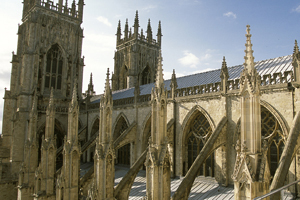 The two Yorkshire cities offer plenty for C&I planners to consider. The major new opening in York is the Cedar Court Grand Hotel and Spa, the £25m refurbishment of the former North Eastern Railways headquarters. The conversion of the Grade II-listed building gives York its first five-star hotel. Since 2005, investment has included NRM+, a £21m project to transform the National Railway Museum's Great Hall. The Jorvik Viking Centre's revamp was completed in May 2010, offering space for 100 delegates at a reception with Viking-themed canapes. For a gala dinner, the National Railway Museum offers a unique platform venue for up to 800. You can dine among the historic engines with Queen Victoria's private carriages as a backdrop and enjoy live theatre to evoke the heritage theme. York abounds with history and its ancient walls encase a tangle of medieval streets and alleys colloquially known as 'snickleways'. City walking tours, themed around heritage or ghost experiences, make for a popular incentive option. The Crown Spa hotel, which offers 115 bedrooms and a cliff-top location with vistas of the sea and South Bay beach, remains the perennial favourite with corporate clients, while the Royal Hotel boasts leisure facilities and 118 rooms. The Scarborough Spa is currently undergoing a £6m refurbishment with completion due in spring 2011. The venue has more than 1,700m2 of exhibition space and can accommodate 1,920 delegates theatre-style, or 1,250 for gala dining. Jeremy's offers quality fare by chef Jeremy Hollingsworth, who worked with Marco Pierre White at London's Quo Vadis. Green's Restaurant & Bistro in Whitby is a favourite for corporate dining with locally sourced produce and fresh seafood. The North York Moors National Park can be the base for a slew of incentive activities. Dalby Forest is home to a Go Ape high-wire adventure course, while the Pesky Husky Trekking Centre arranges winter husky-racing for groups.